Our chicks spent the weekend at Mrs. O'Flynn's home where they were taken really good care of by her children. As you can see our chick's have doubled in size over the weekend! 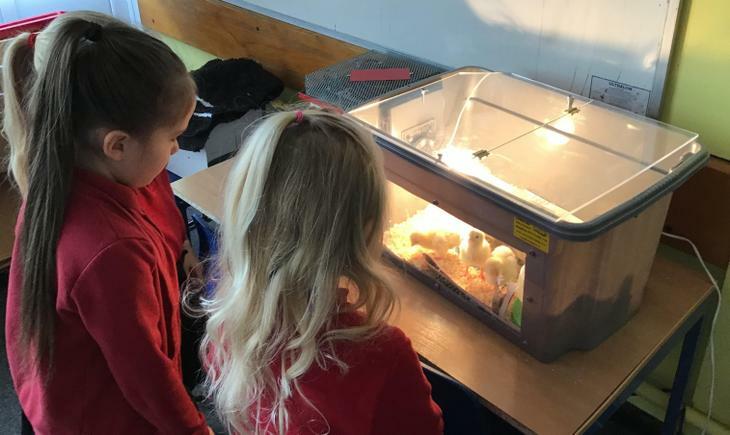 The children in Reception have cleaned their 'Brooder Box' and have given them fresh water and food.